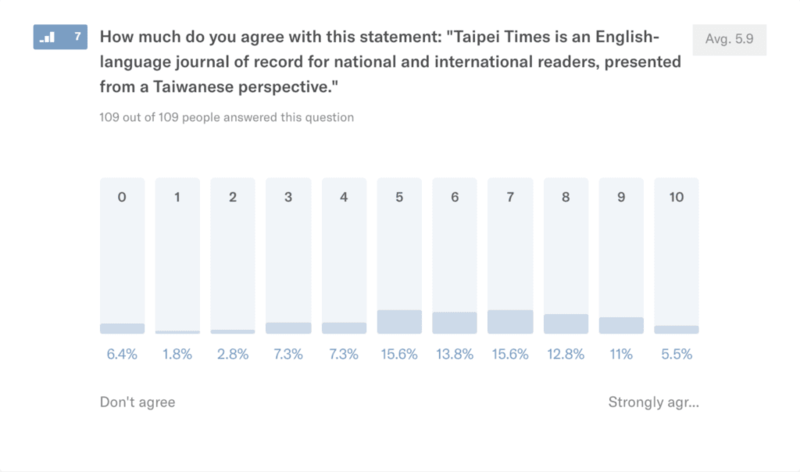 Between May 14 and May 18, I requested Taipei Times readers do a quick 10-question survey to find out who’s reading the paper, how they’re reading it, why they’re reading it and where. In those few days, 109 people responded. These are the results. 75% of people who answered the survey are based in Taiwan. 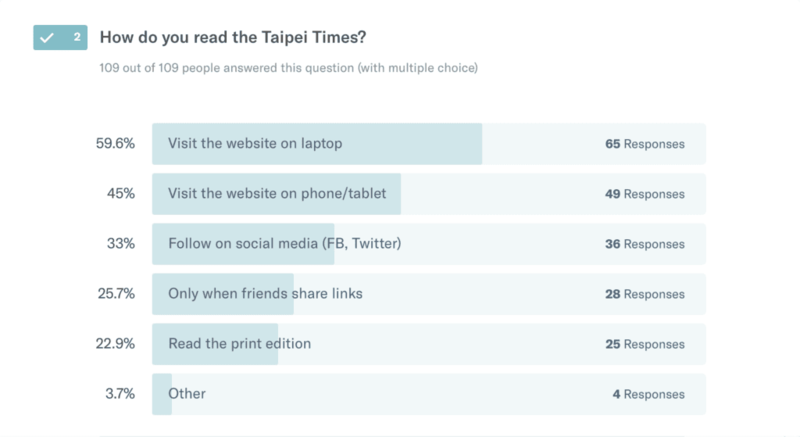 The most popular ways to read Taipei Times are online via laptop/desktop, smartphone/tablet and social media. Most respondents are regular readers. Almost a third are daily readers. 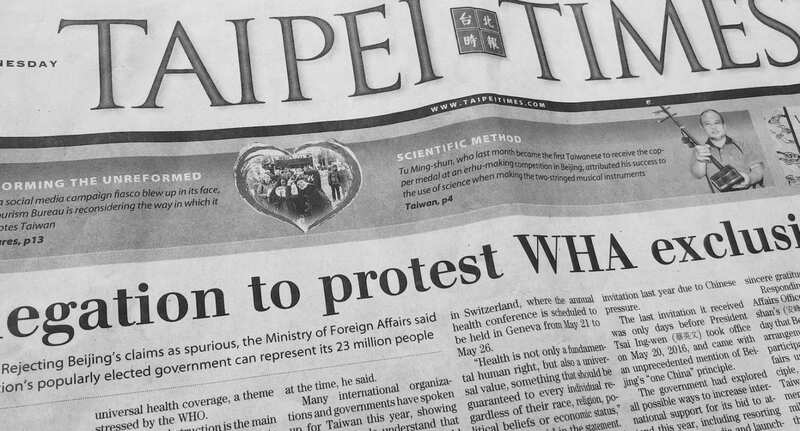 Most people seem to read Taipei Times out of habit or by default. 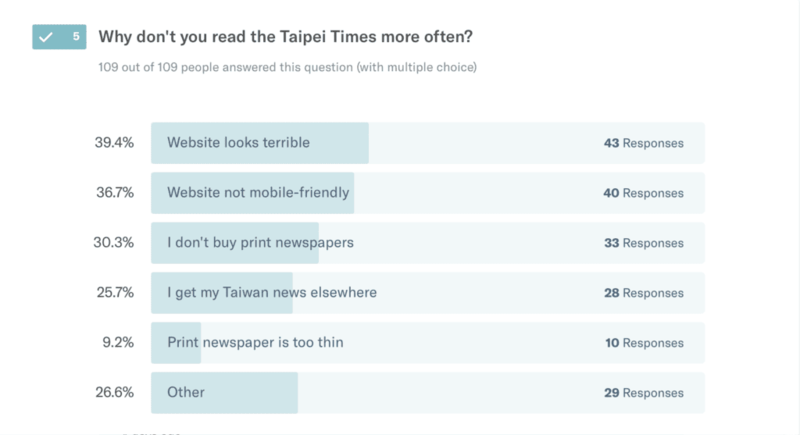 Not surprisingly, the website deters most people from reading Taipei Times more. 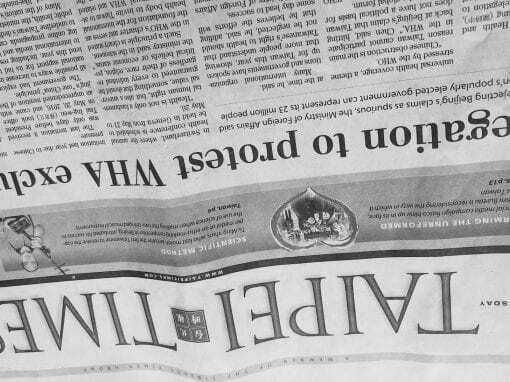 Readership is also shifting, with many saying they don’t buy print newspapers. The statement below is from the Taipei Times About Us page. 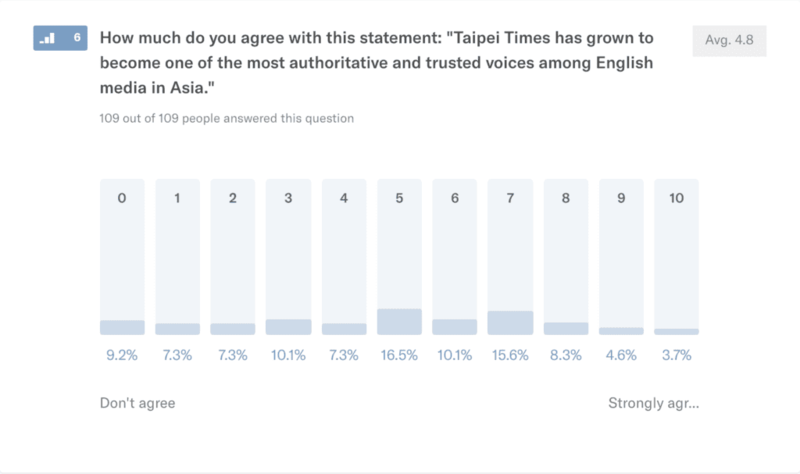 With an average score of 4.8 out of 10, the survey shows people feel pretty neutral about Taipei Times’ role as one of the most “authoritative and trusted voices among English media in Asia”. The statement below is Taipei Times’ mission statement. It earned a slightly positive average score of 5.9. 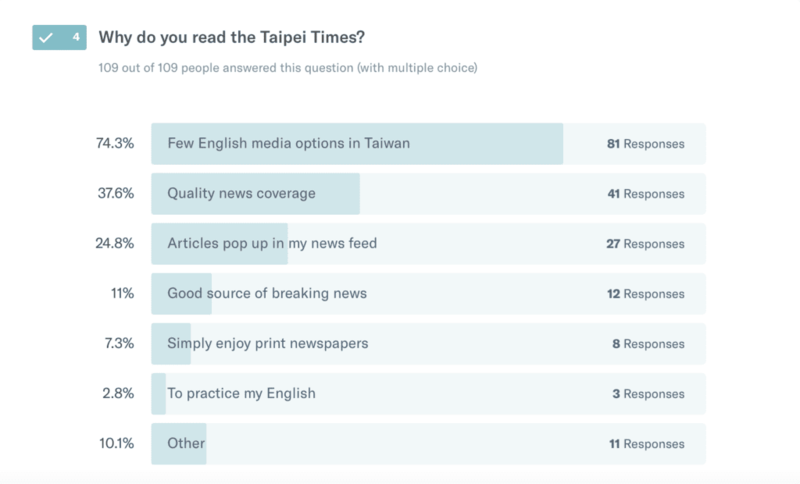 People shared a lot of suggestions for Taipei Times on how it could improve. People rely on a variety of media outlets for their Taiwan-related news. All of Taipei Times’ competitors are online-only. This survey was completed by people from a broad range of age groups with most respondents falling within the 31-50 range. If you have any questions about this survey just leave a comment below. Taiwan at the 1976 Montreal Olympics.